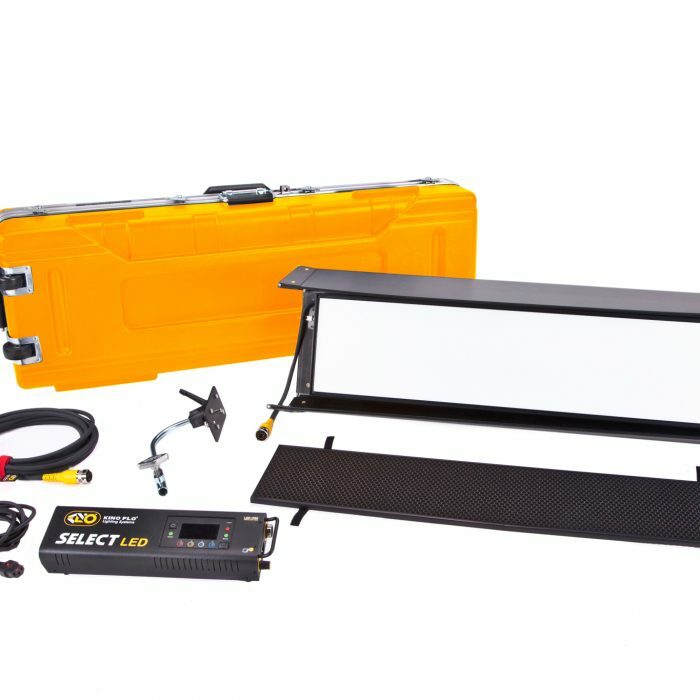 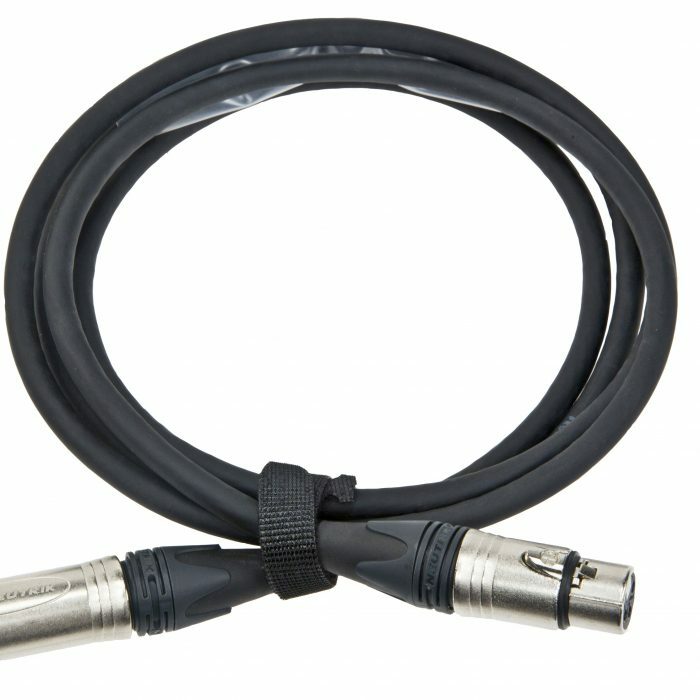 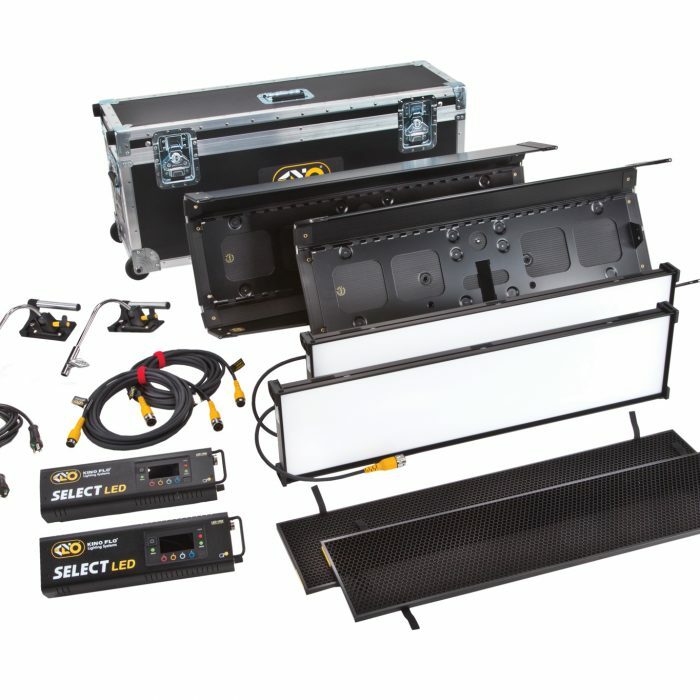 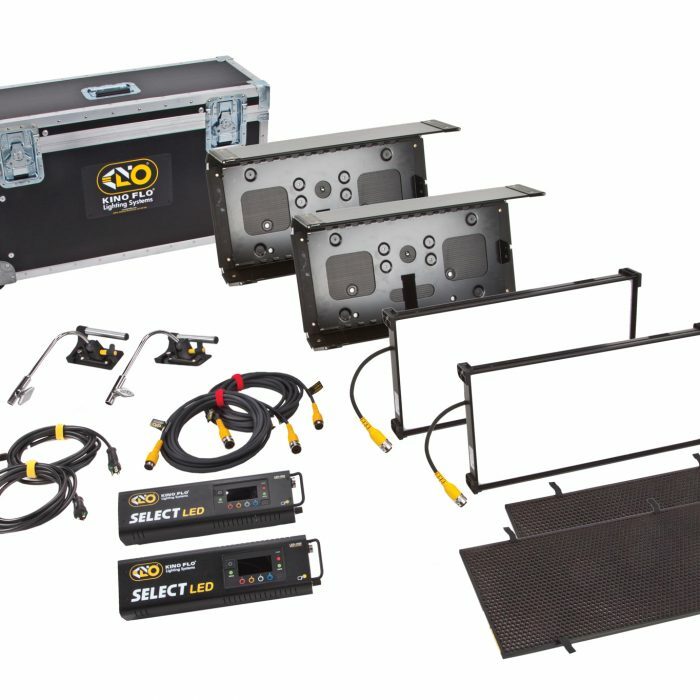 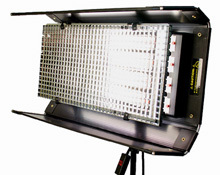 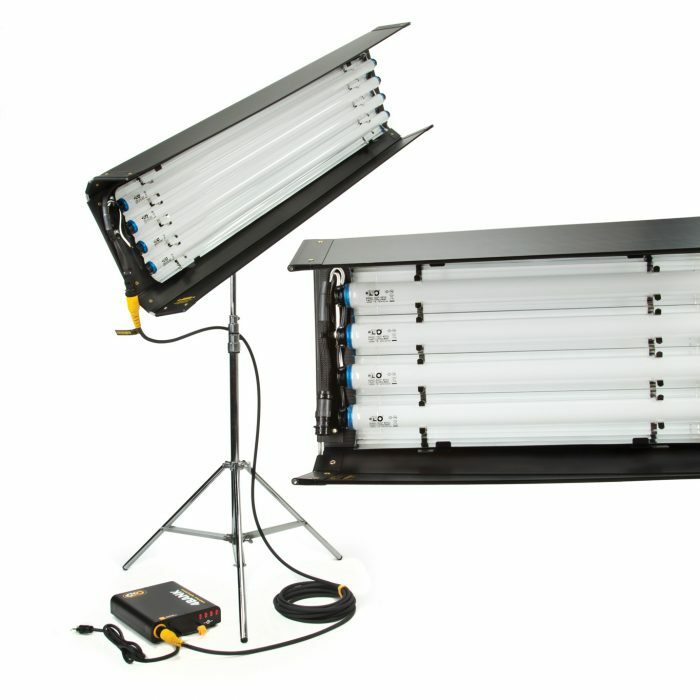 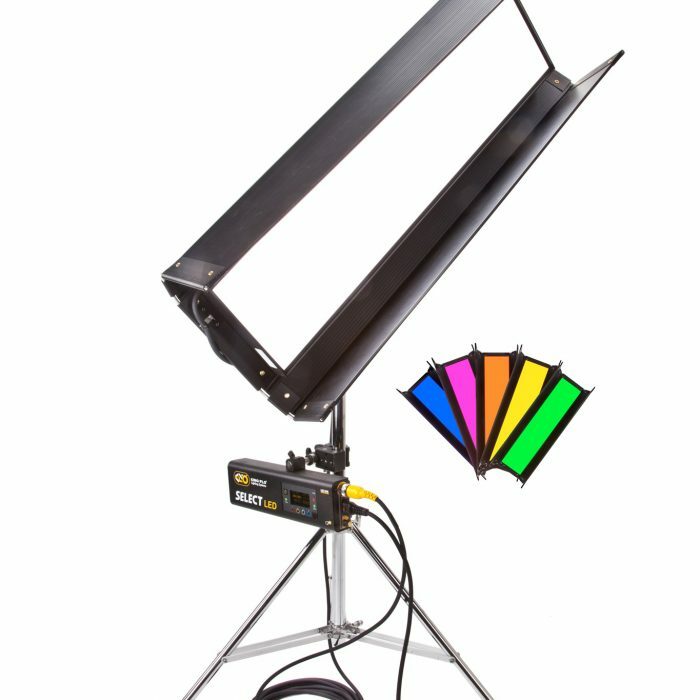 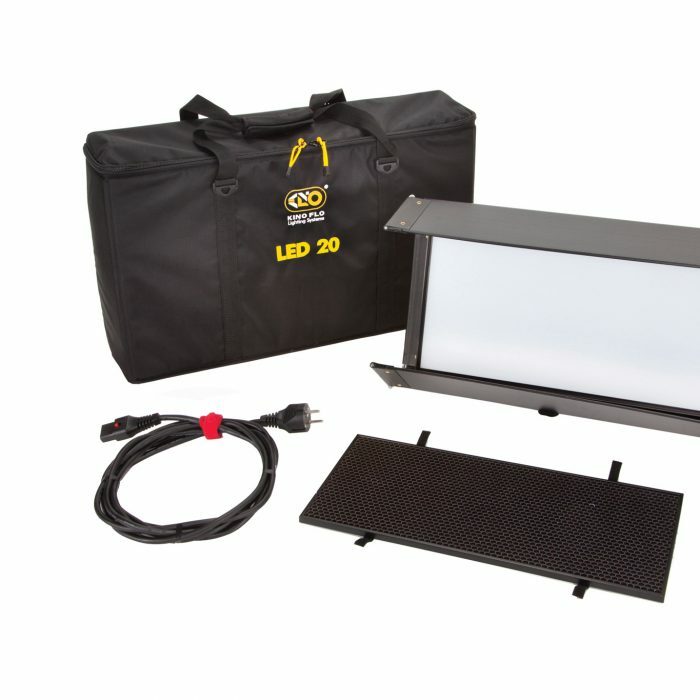 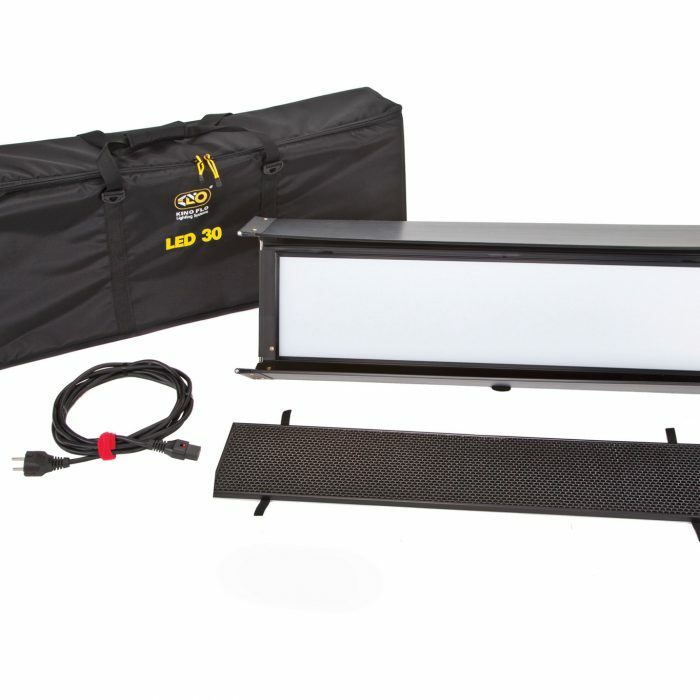 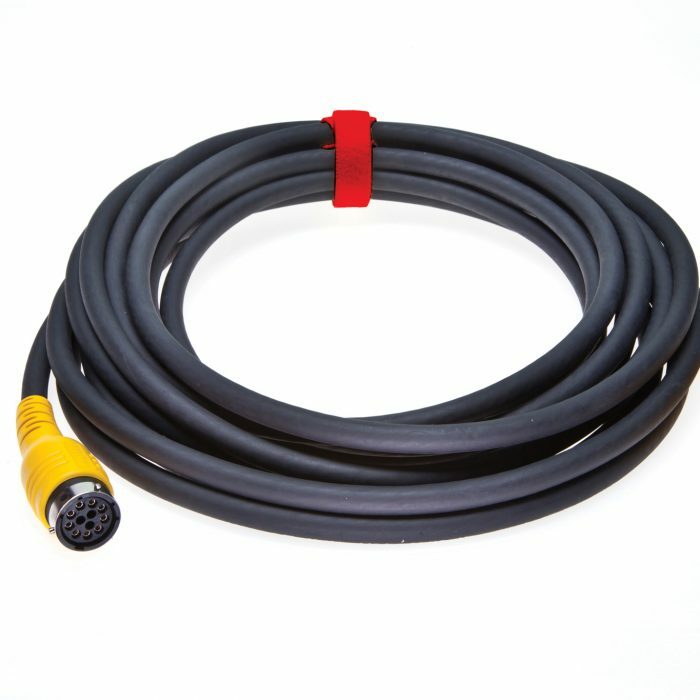 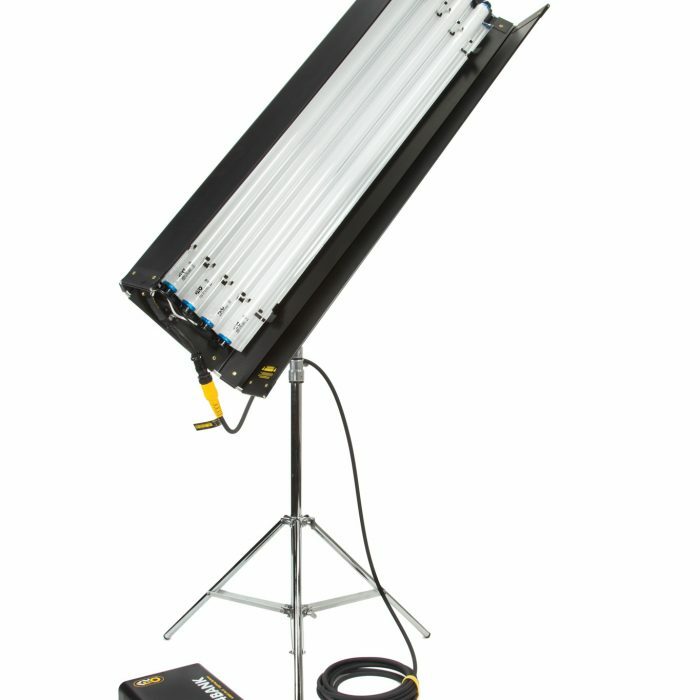 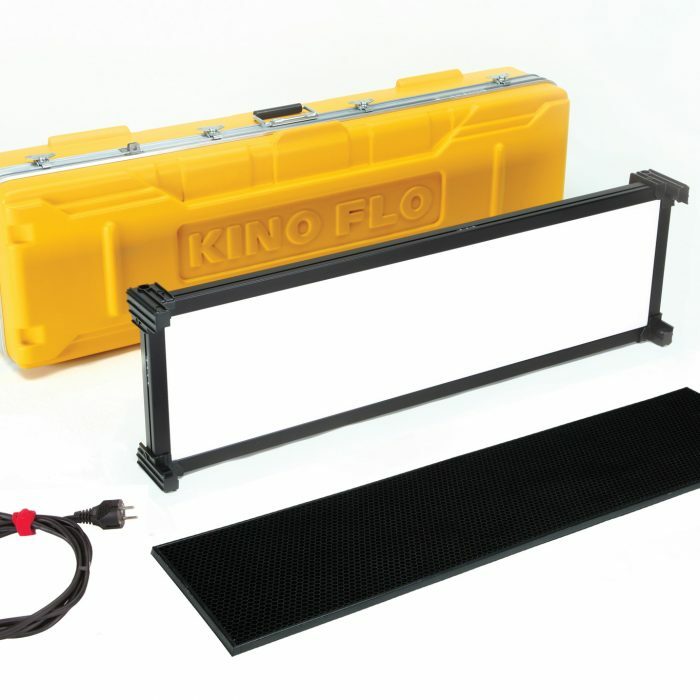 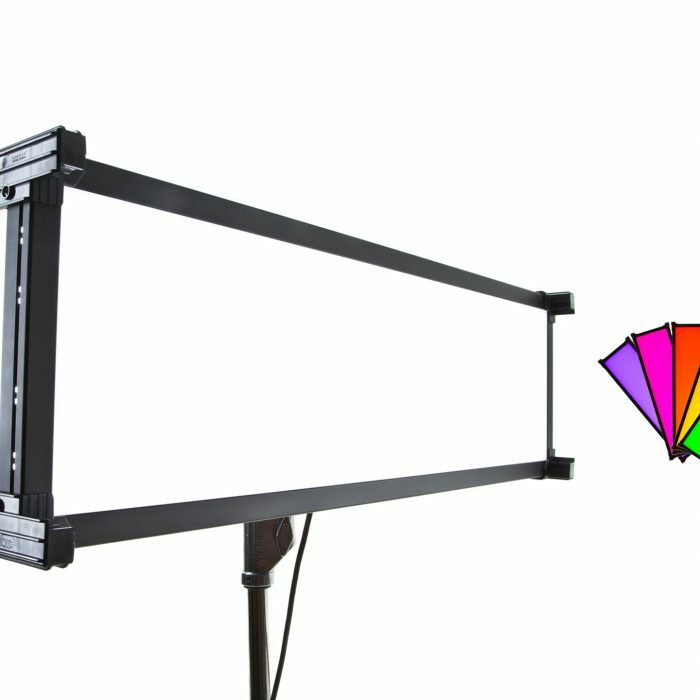 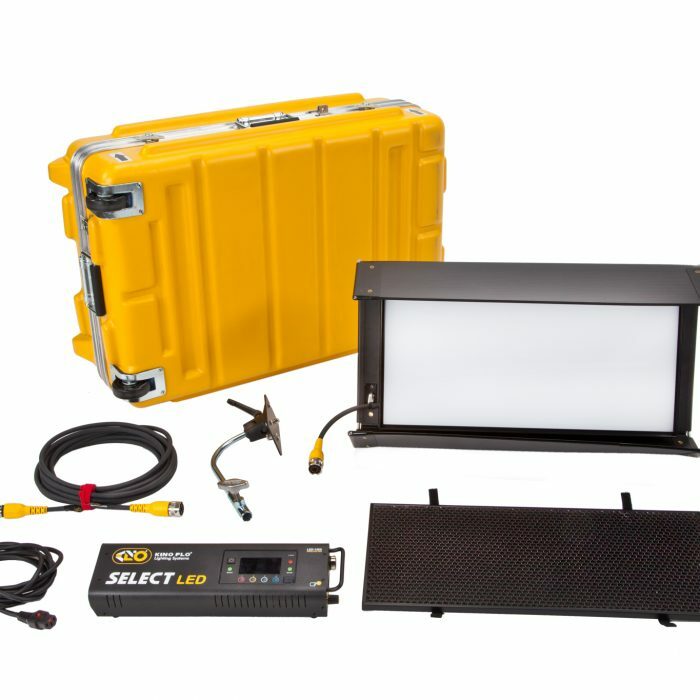 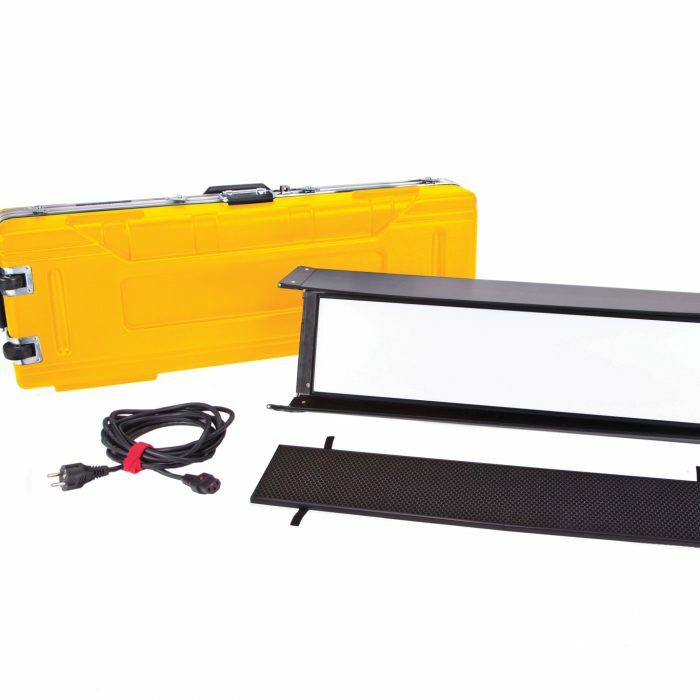 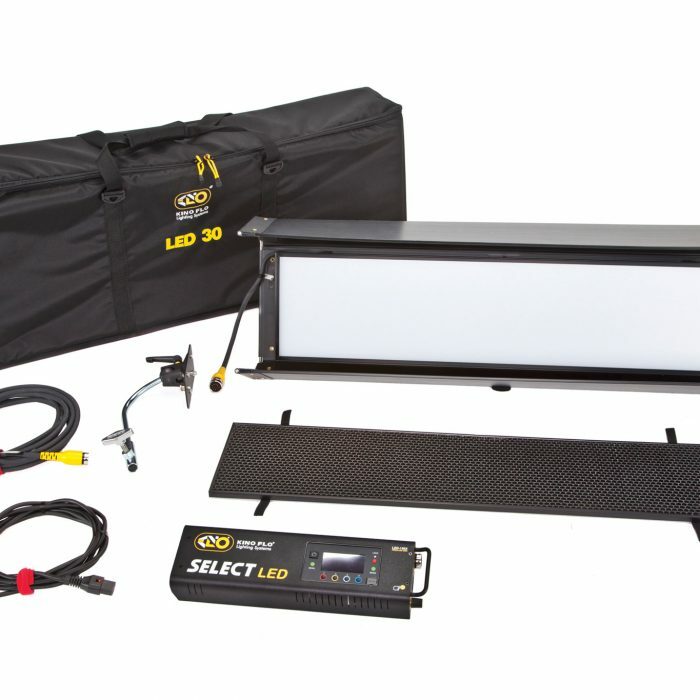 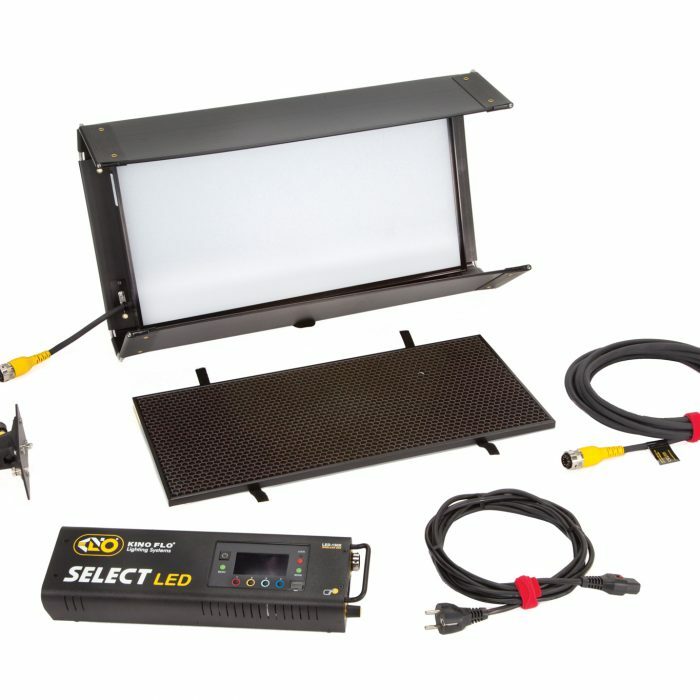 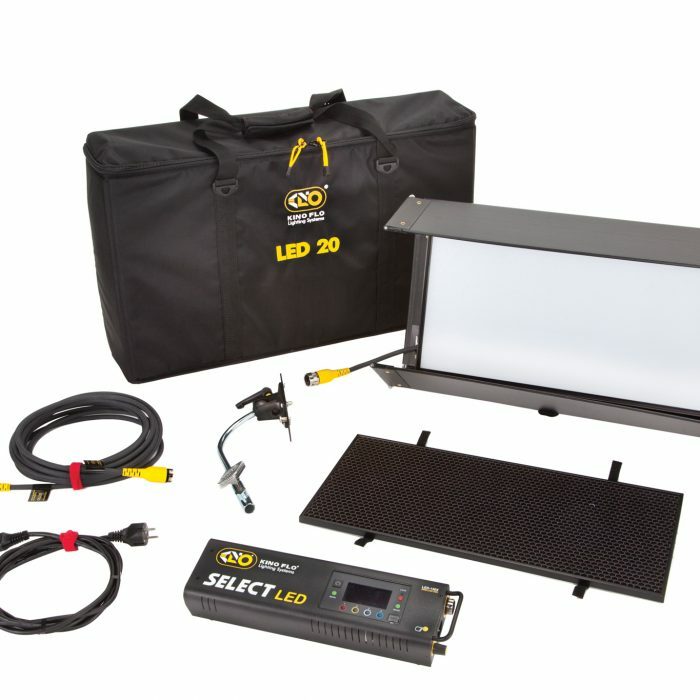 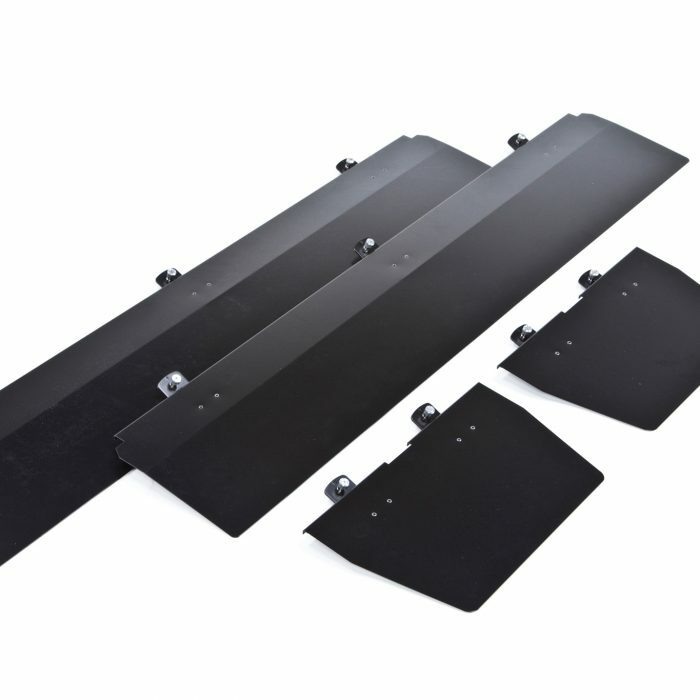 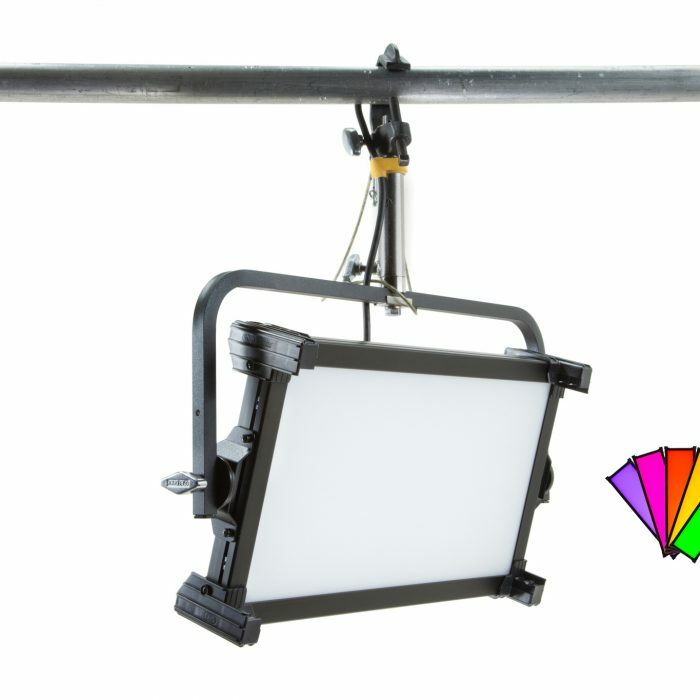 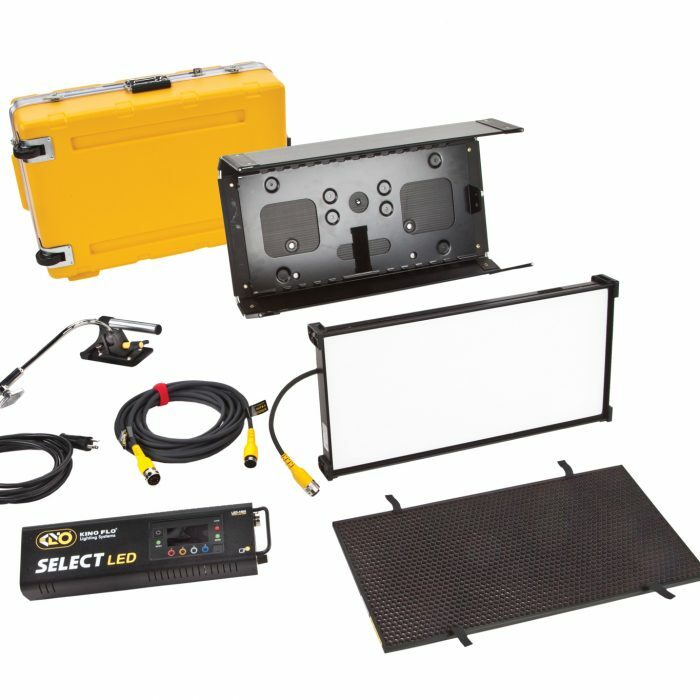 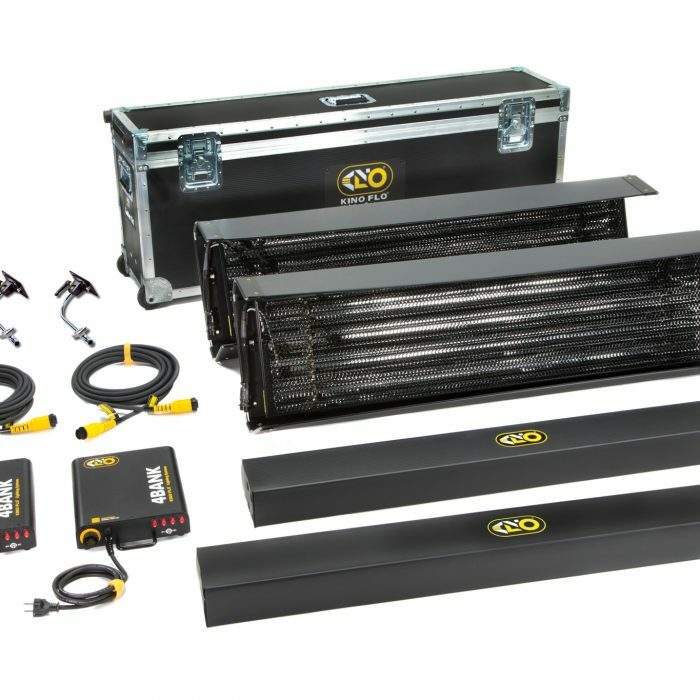 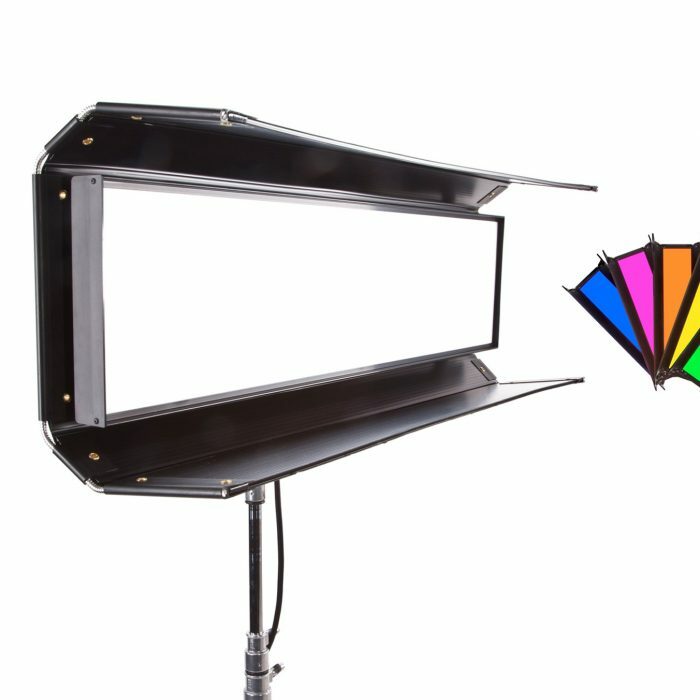 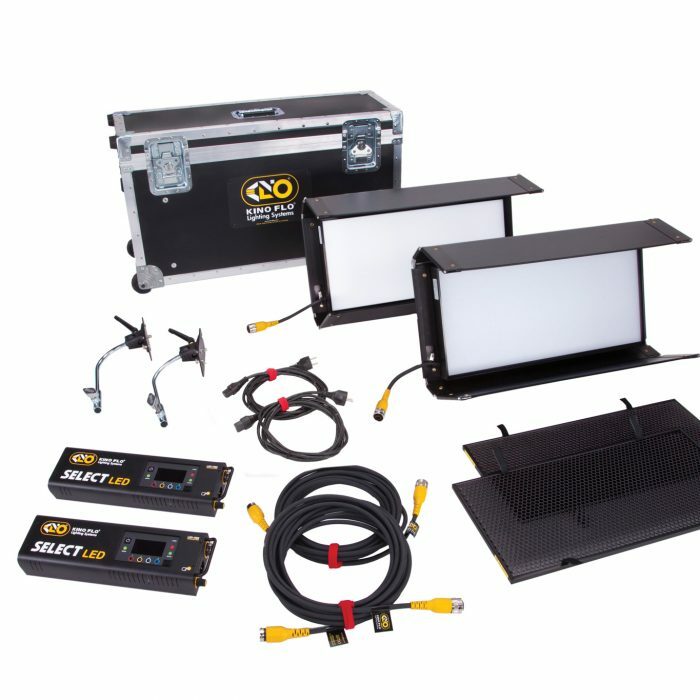 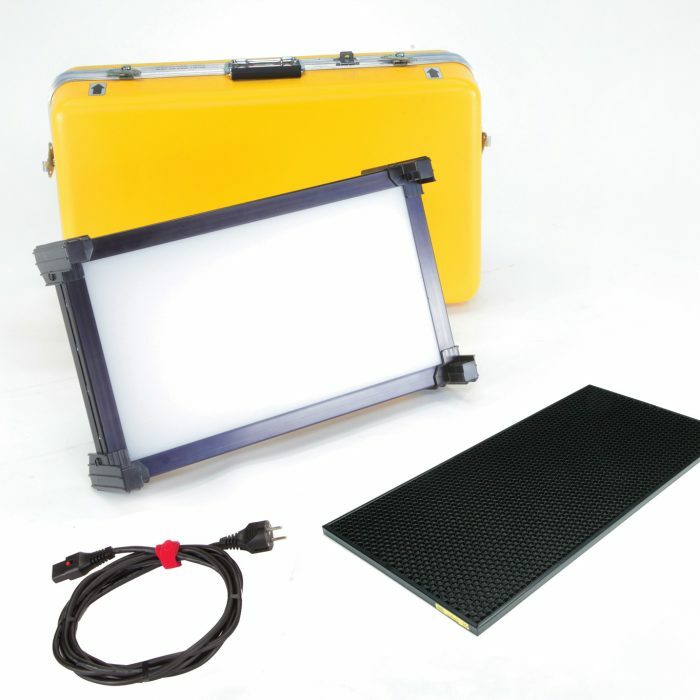 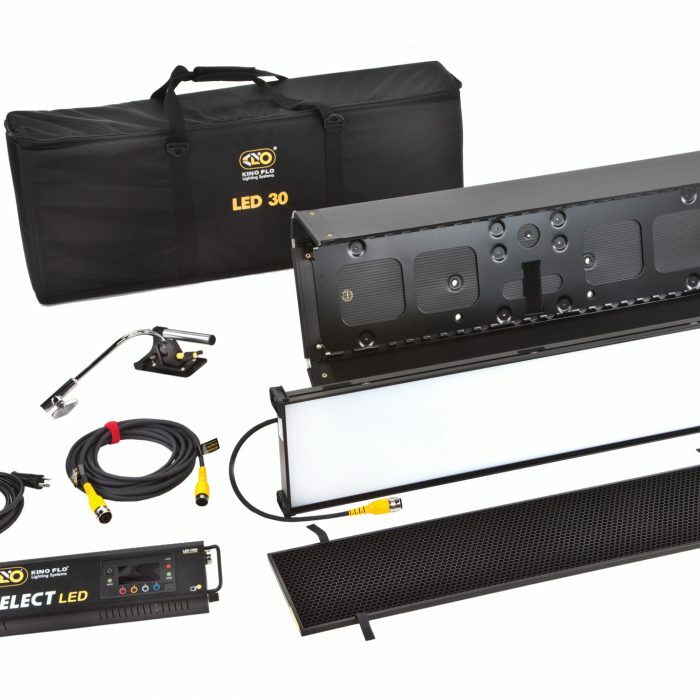 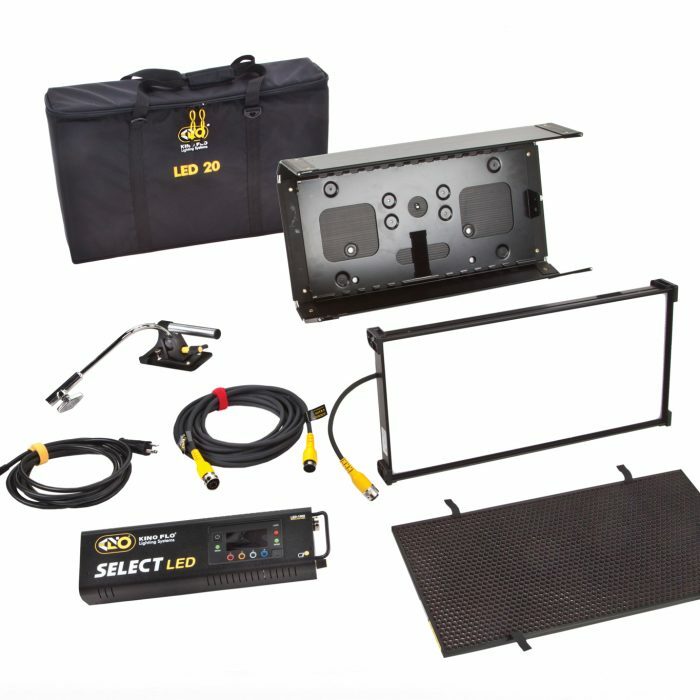 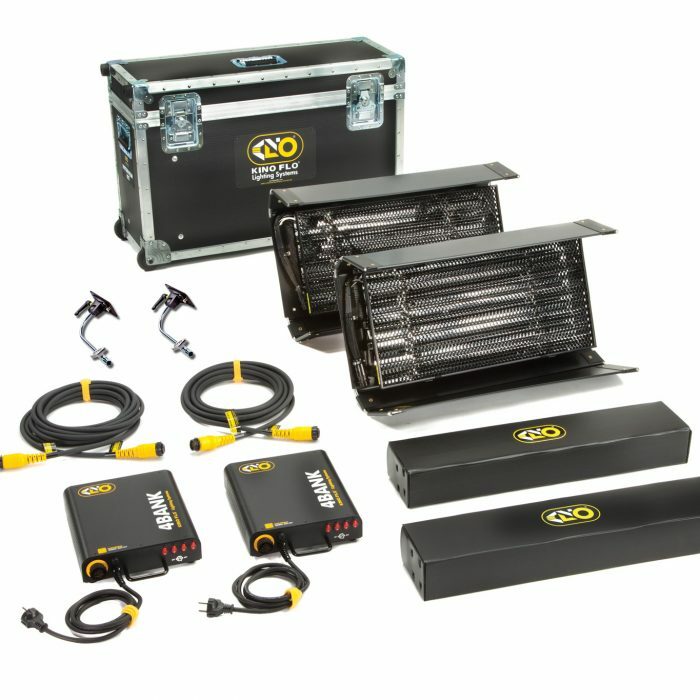 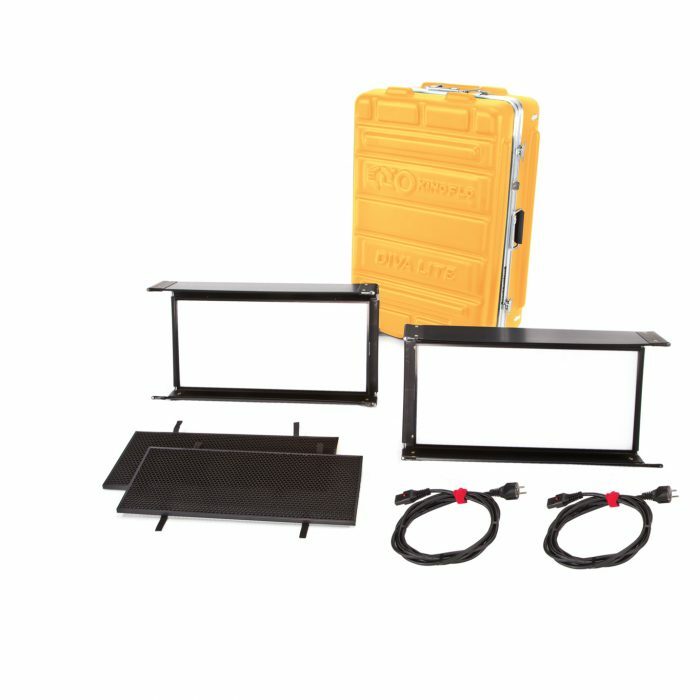 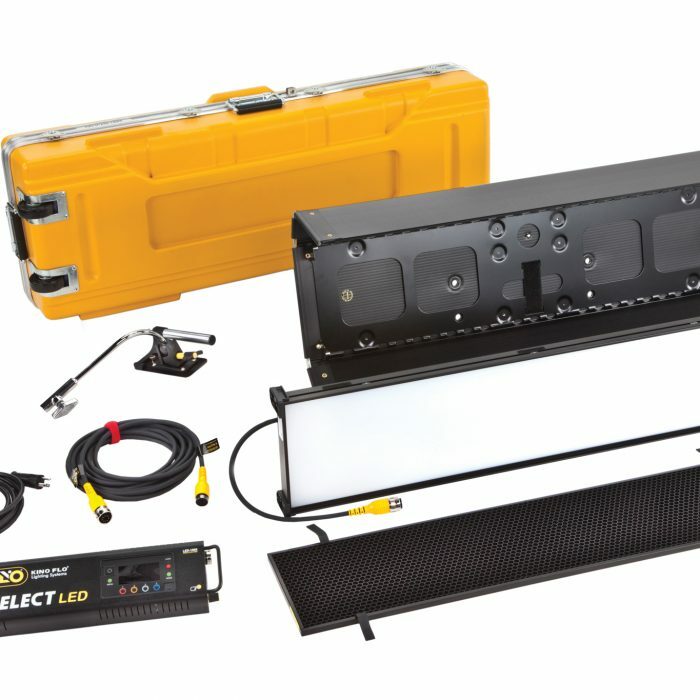 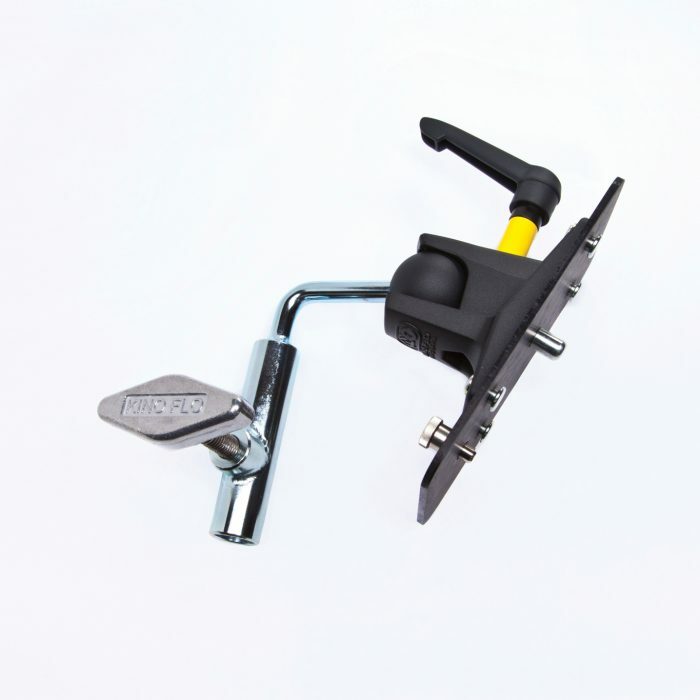 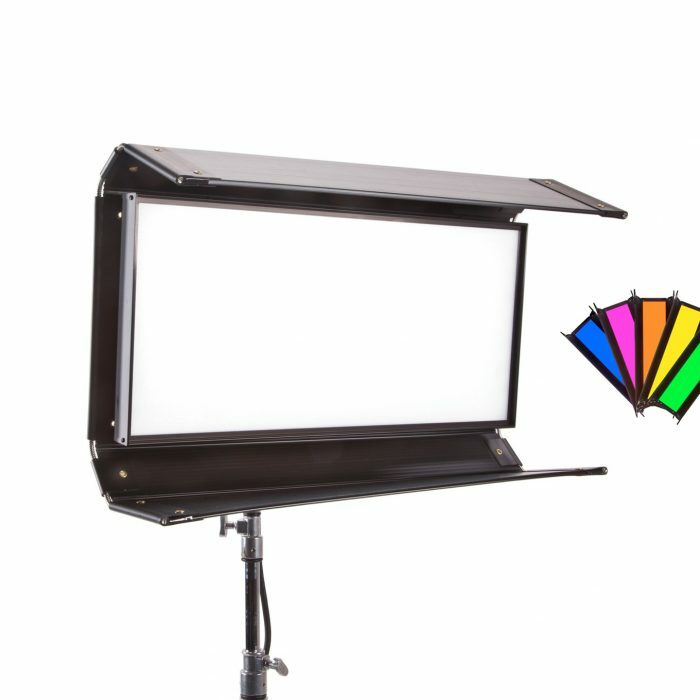 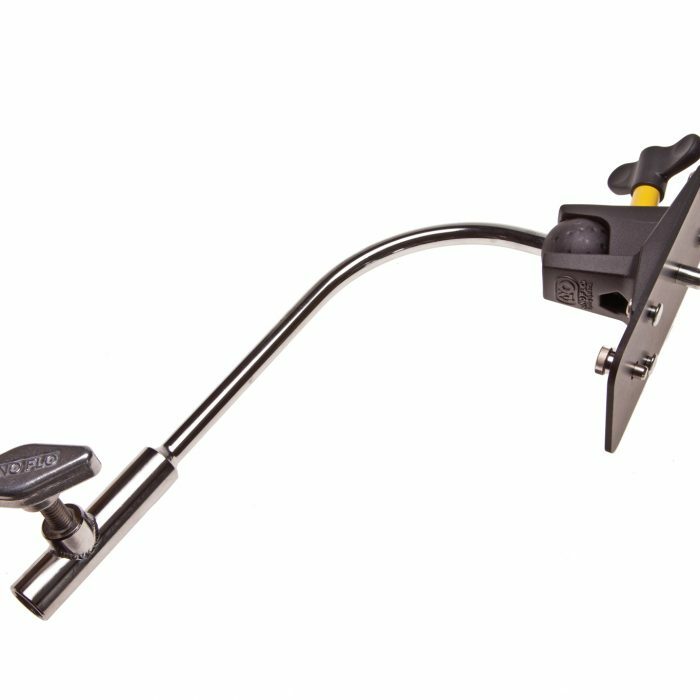 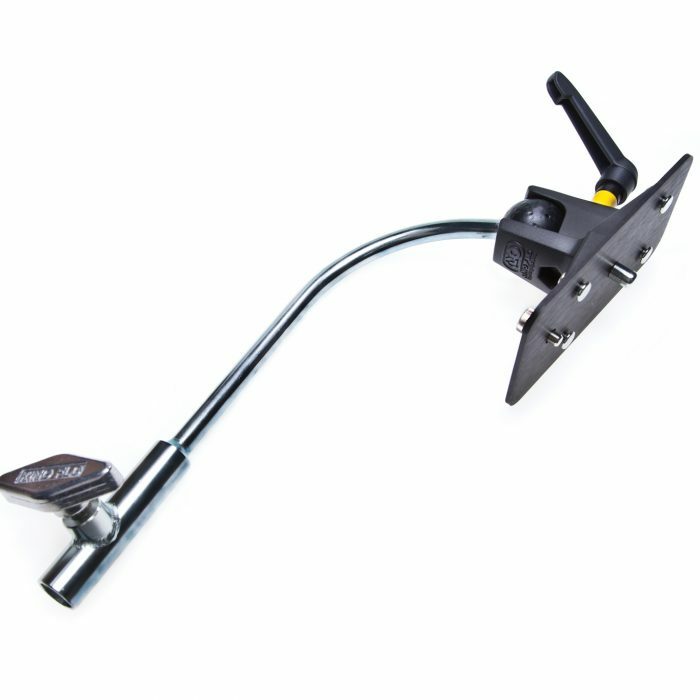 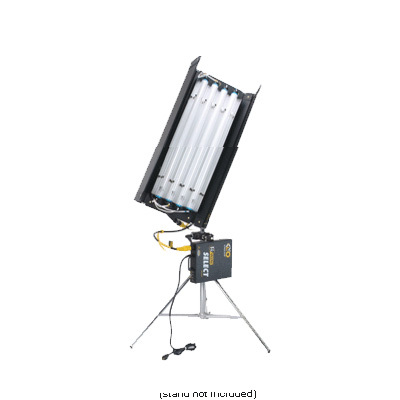 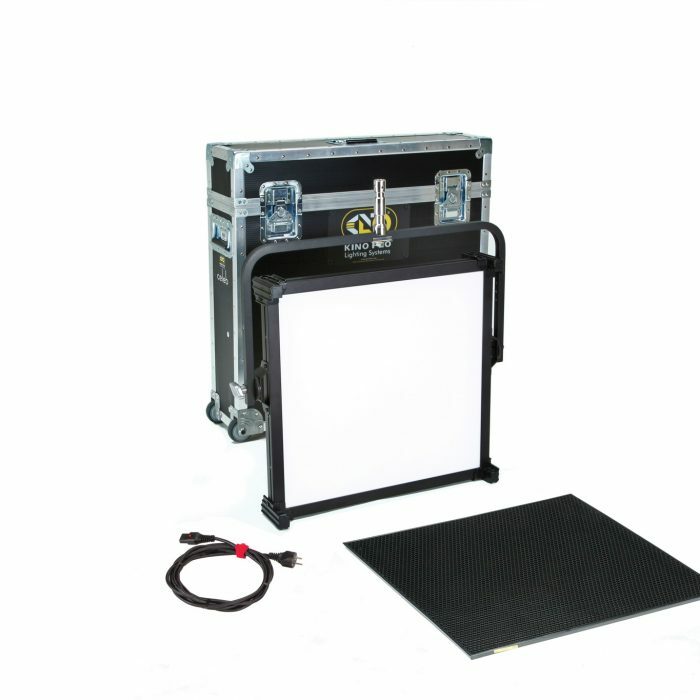 Kino Flo is a manufacturer of lighting equipment for use in motion pictures, television and photography. 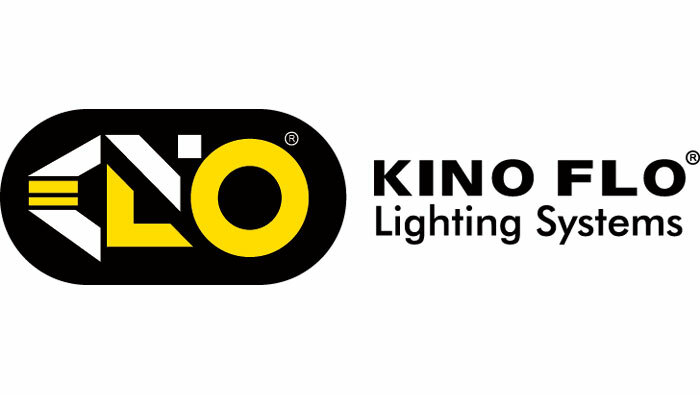 Located in Burbank, California, Kino Flo is best known for its fluorescent tube arrangements that are used for the color of film and digital video. 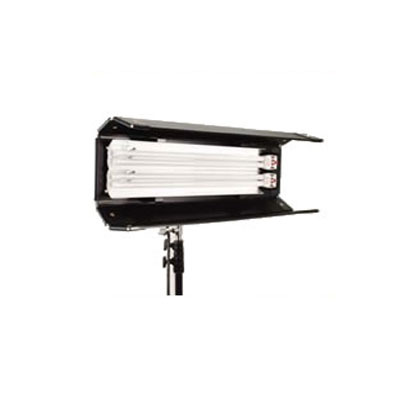 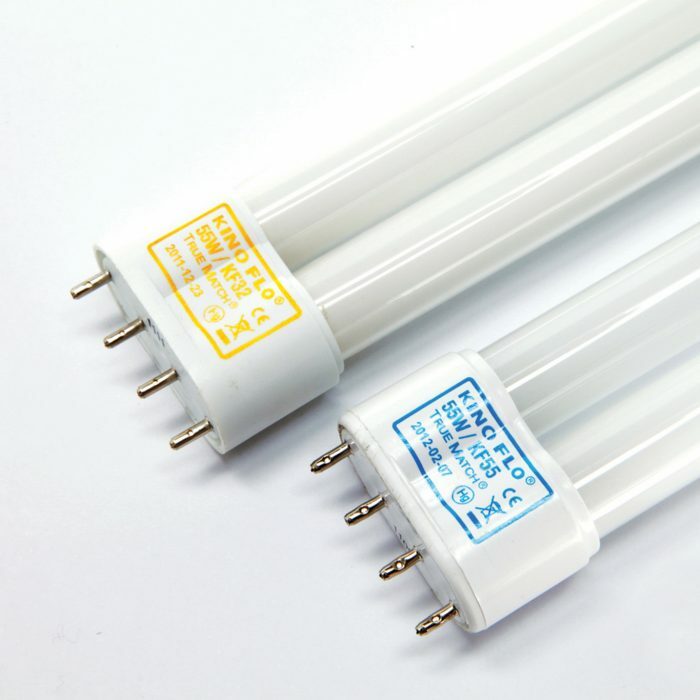 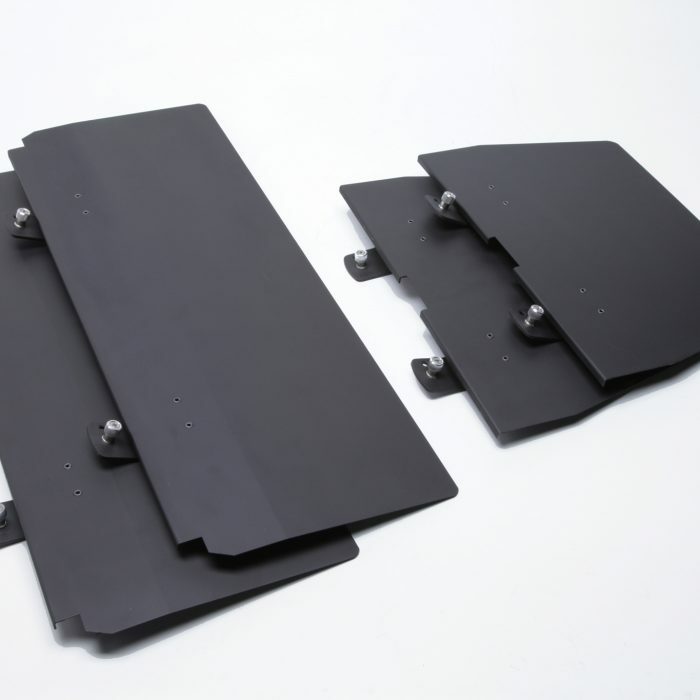 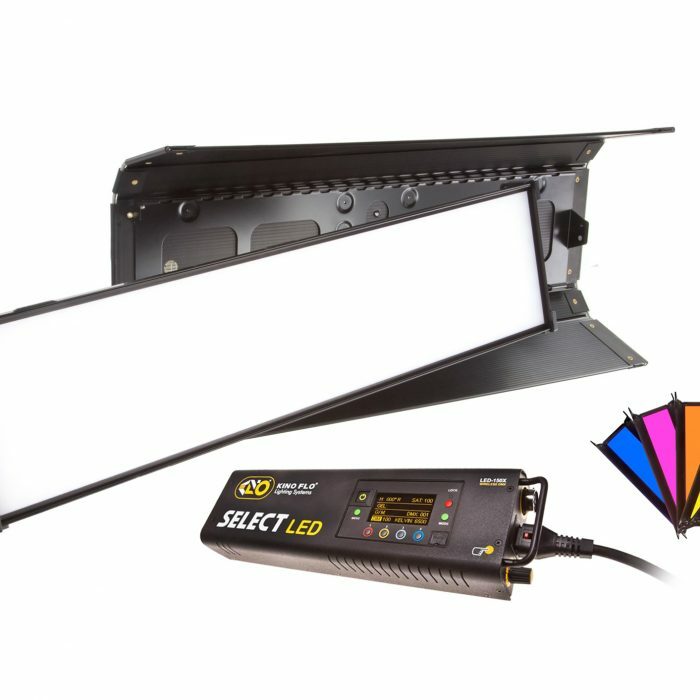 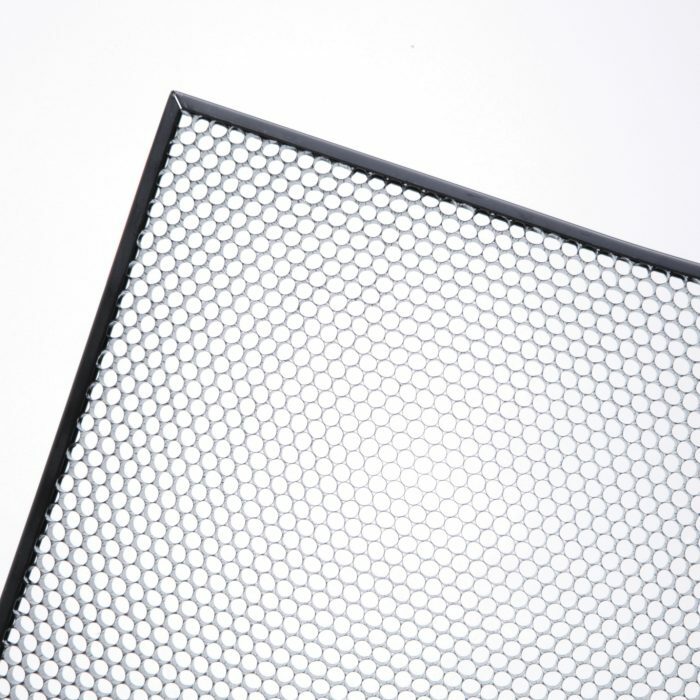 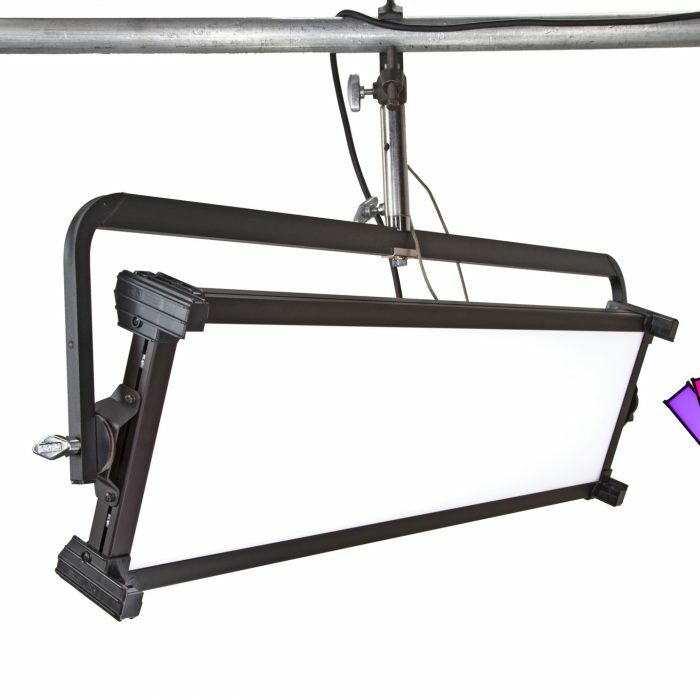 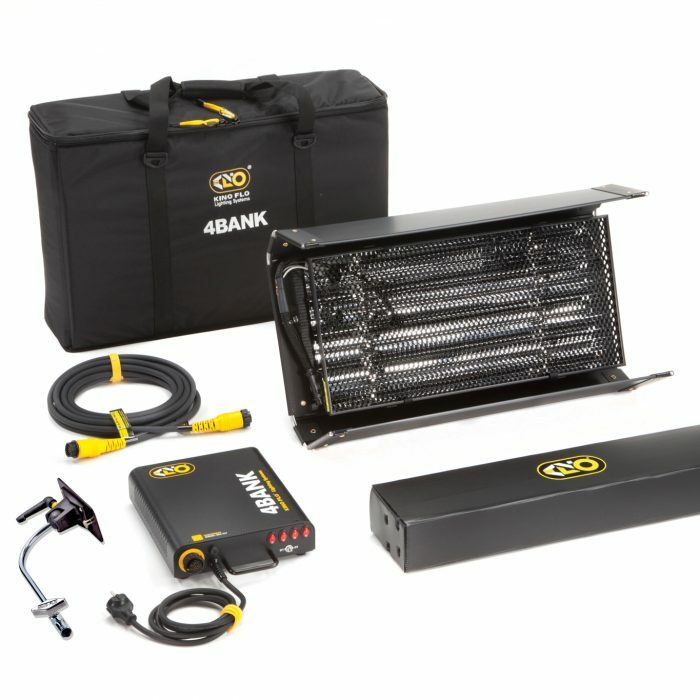 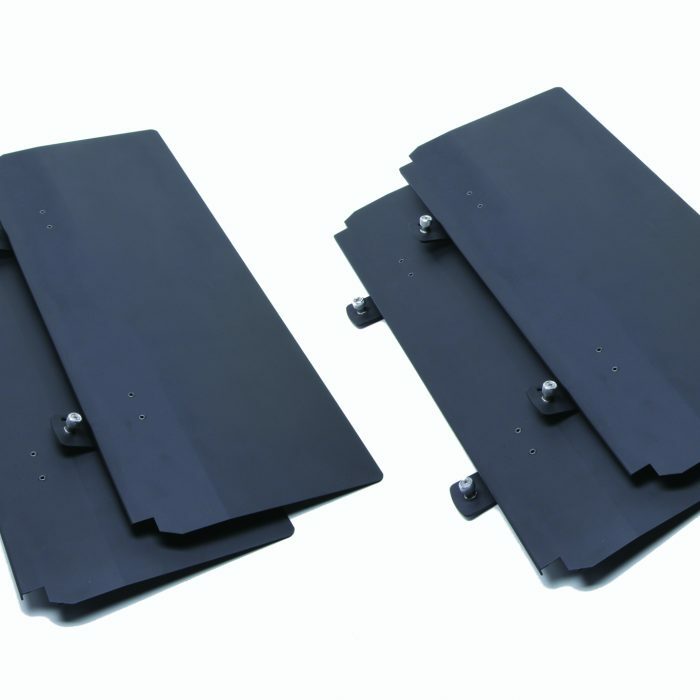 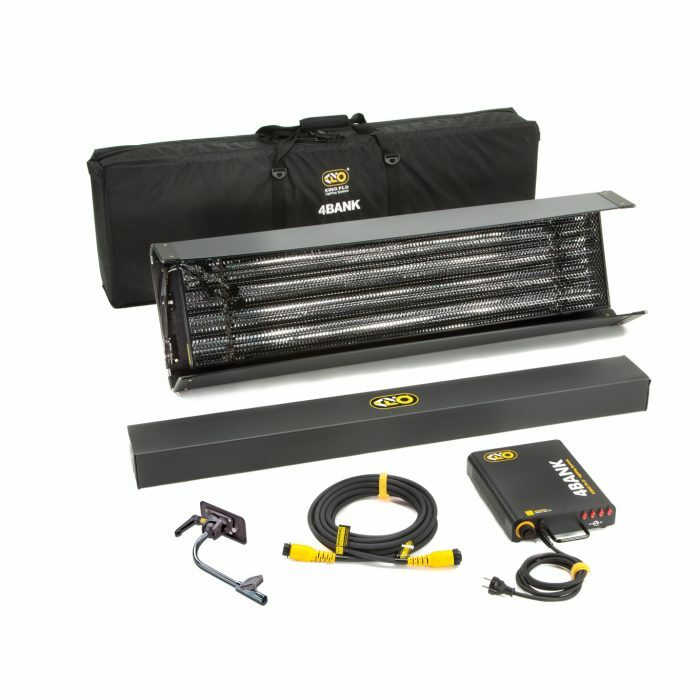 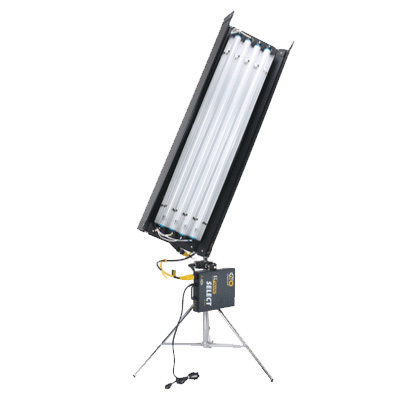 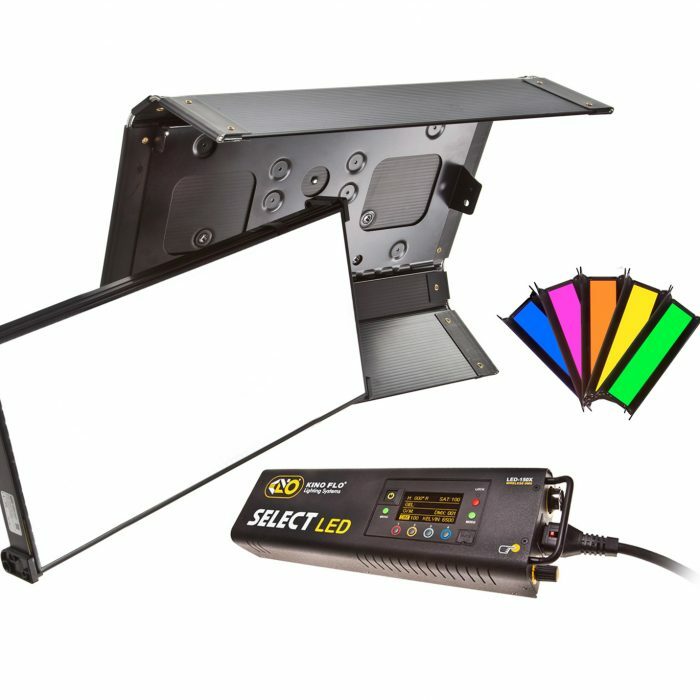 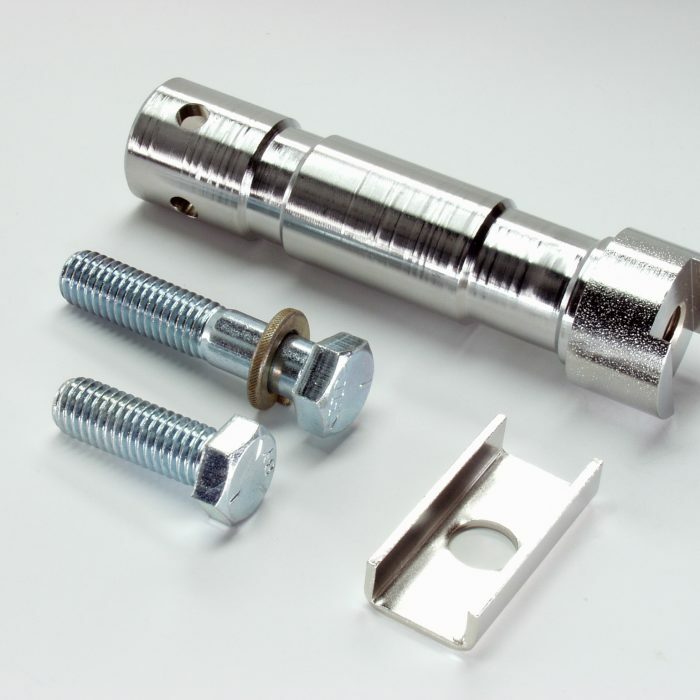 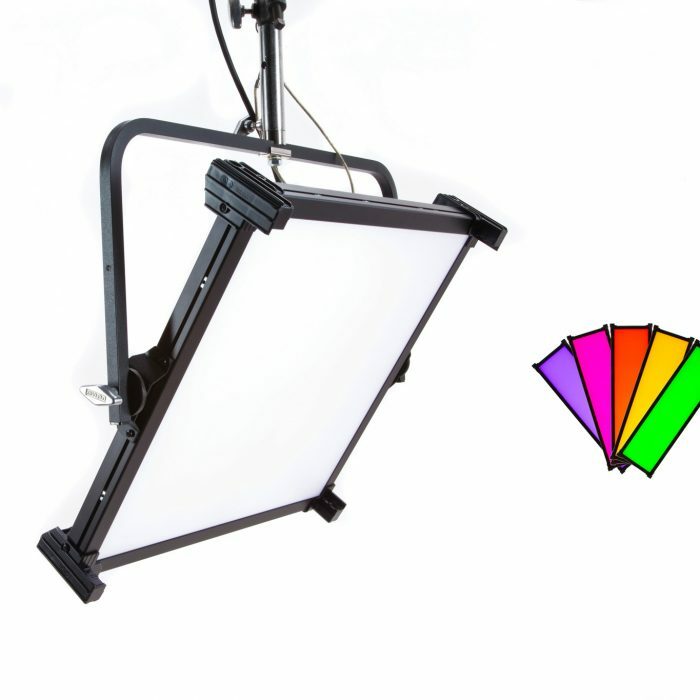 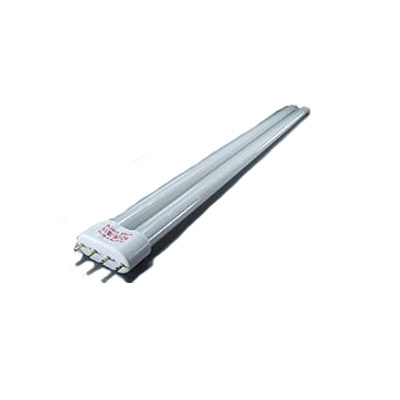 These lights provide a relatively compact and efficient way of providing soft lighting. 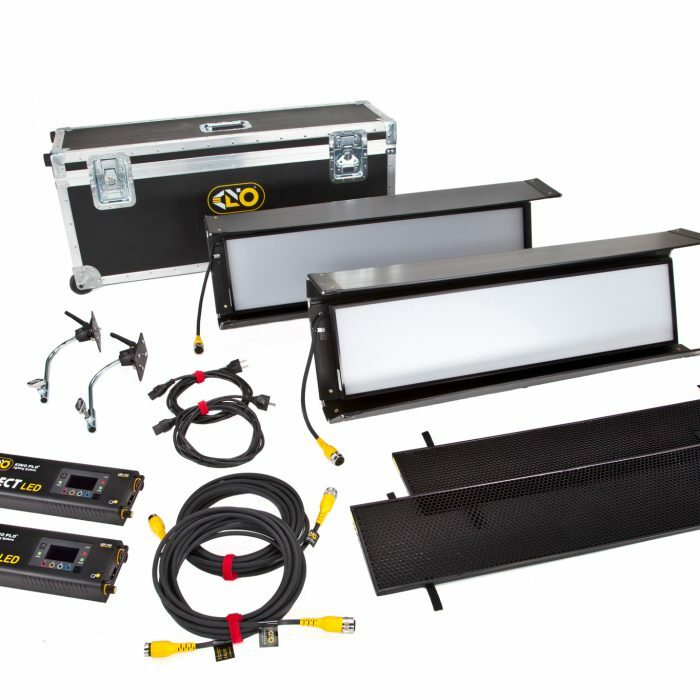 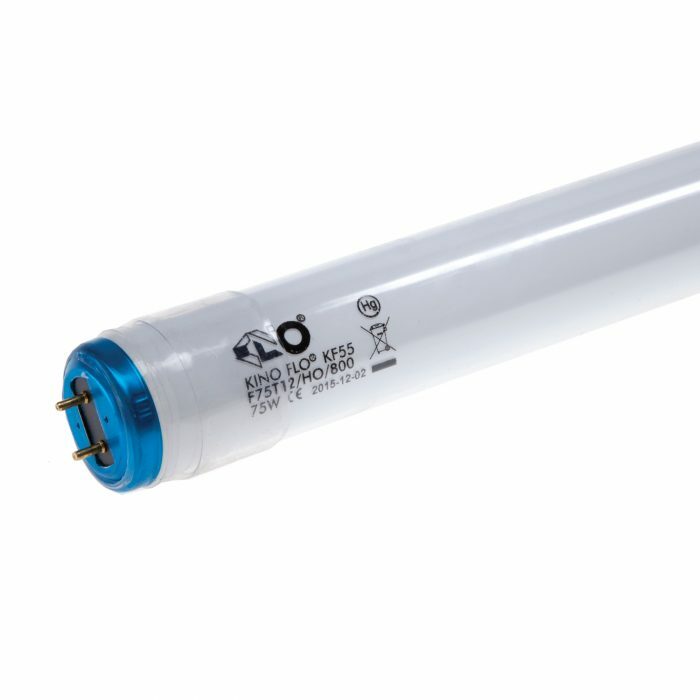 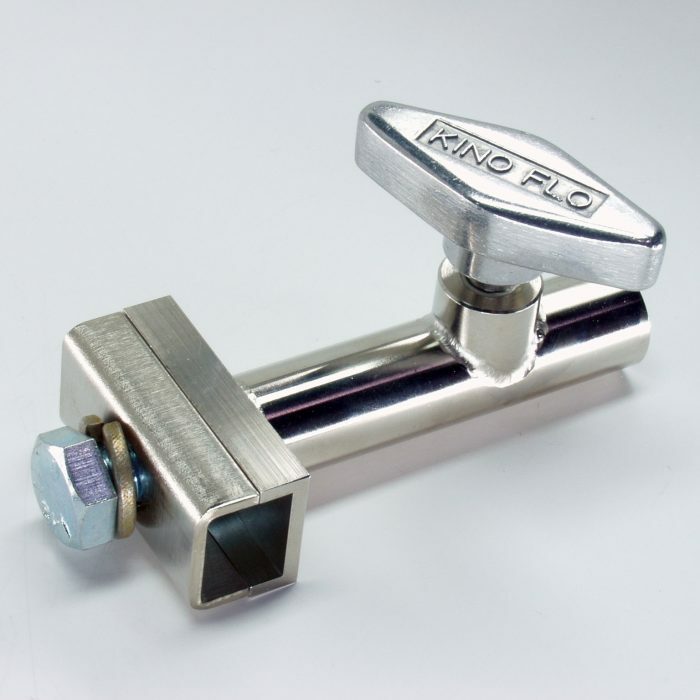 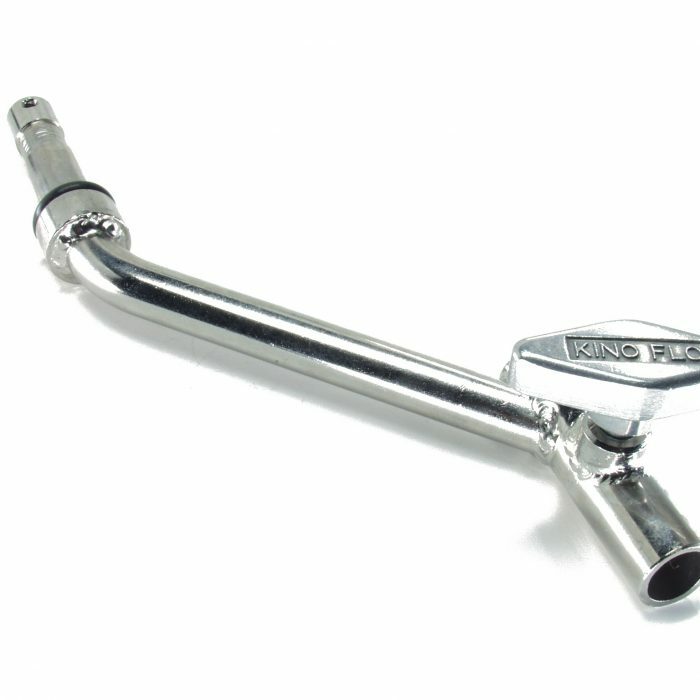 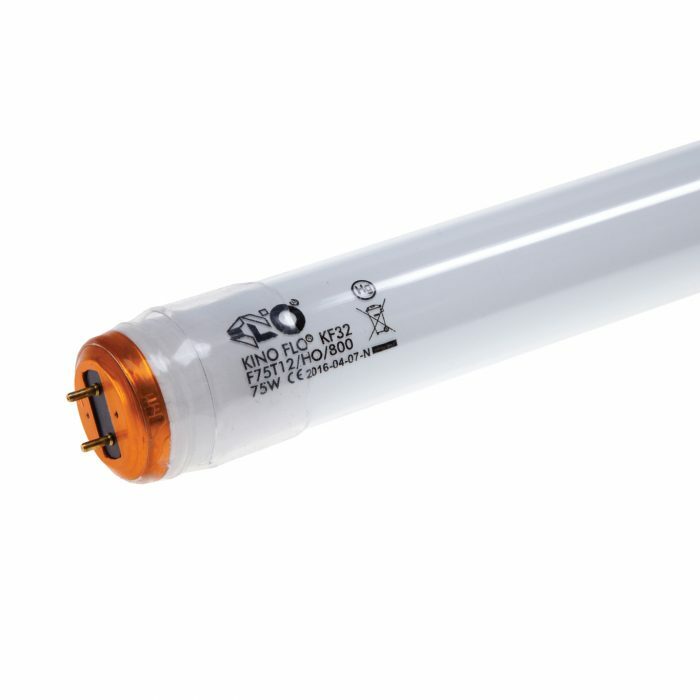 Compared to the original workhorse of motion picture lighting, incandescent lights (and, more recently, HMI lights), Kino Flo tubes produce less heat and fit into smaller spaces, two significant advantages that have made them popular with professionals. 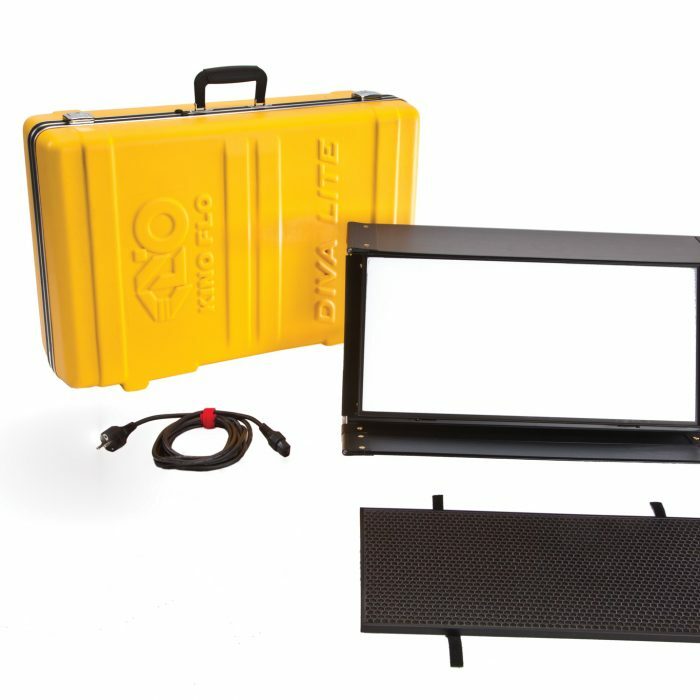 Kino Flo KIT-DV4-230 Diva-Lite 400 Kit, 230VAC with Travel Case.